Partnering with European manufacturing technology companies to provide DNO’s, contractors and design houses with a portfolio of innovative technologies for the UK & Ireland power grid industry. Partnering with European manufacturing technology companies to provide network operators, contractors and design houses with a portfolio of innovative technologies for the UK & Ireland rail industry. 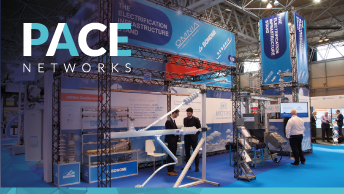 PACE Networks acts as a connection between leading European manufacturers and the Power Transmission, Power Distribution and Railway Electrification markets for the UK and Ireland. PACE deliver technically and commercially leading products that help implement safety improvements, enhanced reliability, reduced whole-life-cost and increased whole-life-value. 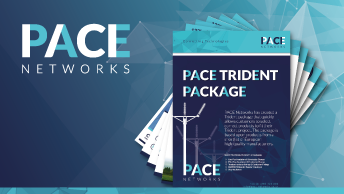 PACE Networks are pleased to expand upon our value-added agency services with the introduction of stocking and distribution of Rail and Power Grid Infrastructure for the UK. PACE Networks can now assist with deliveries at short notice to reduce lead time delays that may arise from late project specification changes. Long gone are the days when projects could be budgeted and approved based on upfront costs alone. It is now standard practice to build the budget for any project on a “whole life cost” basis – considering the total cost of ownership over the life of an asset. 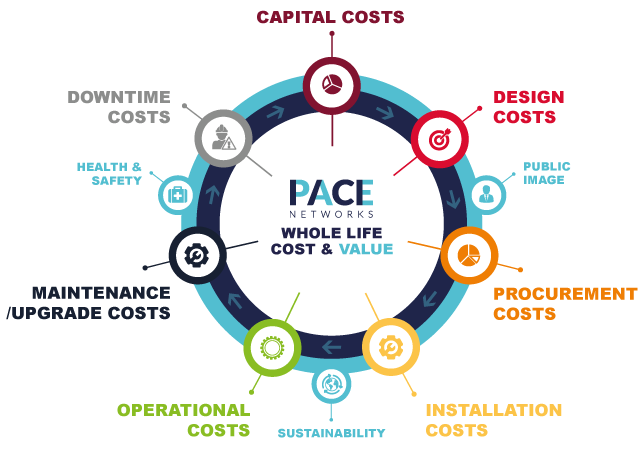 PACE Networks believe that considering Whole Life Cost alone is not the complete picture – the rail electrification and power grid industries should also consider the “whole life value” of the assets chosen to build future generation networks. 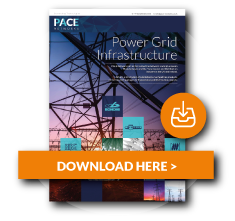 PACE Networks work with proven quality European partners that can deliver innovation, value and expertise to the UK and Ireland Rail and Power Grid markets. We select from a portfolio of complementary products and technologies that deliver a strong service to the customer, allow solutions opportunities and complete due-diligence both technically and commercially for industry requirements. 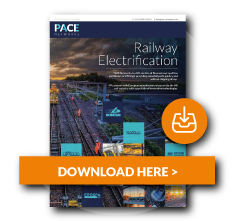 PACE has had involvement with over 50 UK projects across rail and power grid. View our latest technology partner case studies. We aim to effectively support our customers by providing solutions to issues and surpassing their expectations. Employees are key to the successful growth and functionality of the company. Discover more about our company work-life ethos and view our latest vacancies. PACE Networks support a number of organisations locally and internationally, including the Charitable Adventurer Charlie Martell.